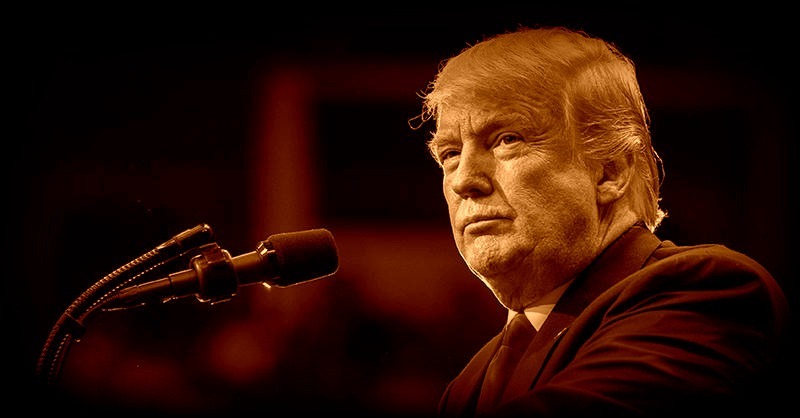 Tea Party Express was instrumental in helping conservatives gain back control of both the House and the Senate and send Donald Trump to the White House. Yet one roadblock still remains to passing a conservative agenda in Washington, DC. Conservatives only hold 52 seats in the Senate, which means liberal Democrats can still hold our priorities hostage through the filibuster. It takes 60 votes to stop a filibuster, which means that Republicans are 8 votes short. 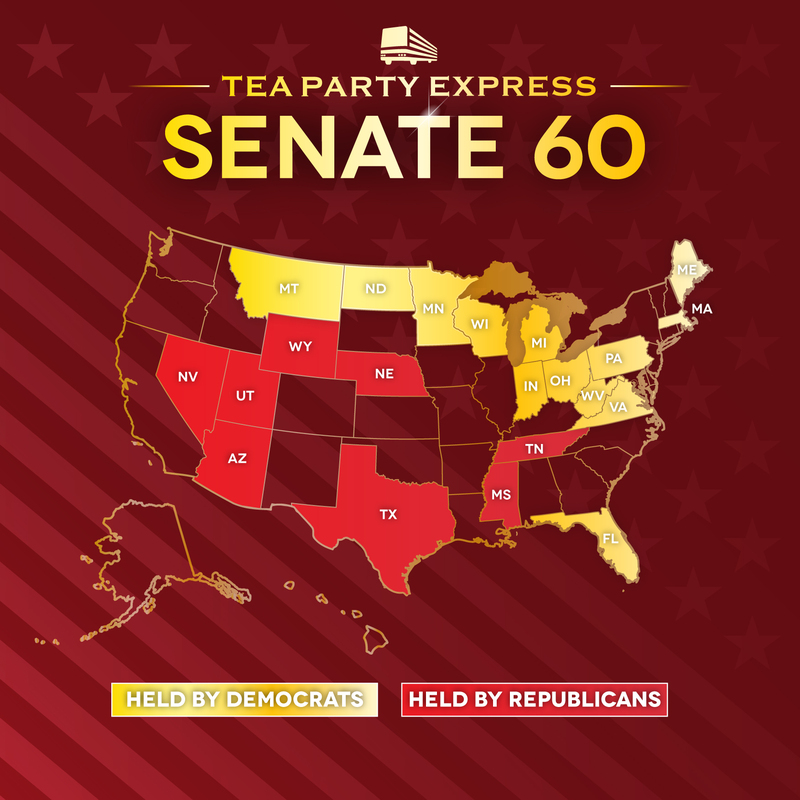 Therefore, Tea Party Express is introducing our Senate 60 Campaign, a battle plan for defeating the vulnerable liberal Senators who stand in the way of fully conservative government. We are focused on the 13 Senate seats that provide the greatest opportunity for a conservative candidate to beat a liberal Democrat incumbent. The good news is that ten of these seats are in states that Donald Trump won in 2016. If we can defeat just 8 of these liberal Senators, we will have a filibuster-proof majority. After decades of supporting failed liberal policies, Wisconsin voters have embraced conservative ideals at the ballot box in recent years. But Tammy Baldwin is so out of touch that she continues to ignore the will of her constituents. From voting for unlimited spending and debt to doubling-down on Obamacare and promising to block President Trump’s Supreme Court nominee, it’s no wonder she has been called one of the most liberal members of Congress. Far-left liberal Sherrod Brown is simply out of step with the people of Ohio. Now that he’s the most powerful Democrat on the Banking Committee, he has embraced the radical financial agenda that socialist Bernie Sanders ran on. Brown swore he’d try to block President Trump’s Attorney General nominee – before the Senate even held confirmation hearings. With Trump having won the state by 9 points, it’s clear Ohioans have had enough of Brown’s radical liberal agenda. Pennsylvania has grown increasingly red in recent years, yet Bob Casey has continued to pursue a liberal agenda in the Senate. Casey has voted to affirm Obamacare every time he could and voted to add trillions of dollars to the national debt. Now his opposition to Donald Trump’s cabinet appointees threatens to derail the president’s conservative agenda. Trump’s win in Pennsylvania in 2016 proves that people of that state are sick and tired of big government, job-killing liberals like Bob Casey. Liberal Joe Donnelly tells his constituents that he is a conservative, but his ultra-liberal voting record proves otherwise. He promised to balance the budget and pay off the national debt, but instead he voted to let allow the federal government to create unlimited debt. As if that weren’t enough, Donnelly consistently defended President Obama’s failed stimulus plan and auto industry bailout. Donald Trump won Indiana by a whopping 19 points in 2016, so Hoosier voters have clearly had enough of liberals like Joe Donnelly. When running for Senate in conservative North Dakota, liberal Heidi Heitkamp promised not to raise taxes. Yet, as a Senator, she voted to tax every single American who shops on the Internet. Heitkamp has been one of the staunchest defenders of Obamacare in the Senate and has repeatedly voted against President Trump’s cabinet appointments. She may claim she has North Dakotans’ interests at heart, but she is just another pawn in the liberals’ chess game. Unabashed liberal Tim Kaine is Hillary Clinton’s handpicked vice presidential running mate and the former chairman of the Democratic National Committee. They don’t get much worse than this. Virginia is a purple state primed to turn red in 2018. So while Kaine continues to lash out against President Trump’s cabinet appointments and defending Obamacare’s failures, we can double down on our efforts to ensure this southern Senate seat returns to Republican hands. Angus King ran for Senate as an independent and even promised to caucus with the Republicans if they took control of the Senate. Yet despite Republicans controlling the Senate, King still caucuses with the Democrats and votes with them more than 90% of the time. Perhaps that explains his support for radical environmental regulations, his vote to increase the national debt, and his describing opponents of Obamacare as “guilty of murder.” He may say he is an independent, but Angus King is nothing more than a radical liberal. Joe Manchin likes to pretend that he is a conservative Democrat in a deep red state like West Virginia, but it’s clear the Senator isn’t who he says he is. He sold out to the liberal teachers unions and Washington bureaucrats by opposing Donald Trump’s pick for Education Secretary, betrayed gun owners by voting for onerous gun control measures, and flip-flopped so many times on Obamacare that West Virginians simply can’t trust what he says. It’s time to show Manchin the door in 2018. Claire McCaskill represents a state in America’s conservative heartland, yet she carries the water for Washington, DC liberals. McCaskill supported just about every one of President Obama’s priorities, including Obamacare, the failed stimulus, increasing the debt ceiling, and the confirmation of Obama’s far-left Supreme Court justices. She isn’t fooling the voters of Missouri, who struck back against the liberal overreach of the Obama years by voting overwhelmingly for Donald Trump. It’s time to send Claire McCaskill packing. Bob Menendez isn’t just one of the most consistently liberal members of the Senate. He is also the most corrupt. In fact, he was indicted in 2016 on federal corruption charges that include bribery and conspiracy. Yet Menendez has the audacity to call President Trump’s conservative agenda “terrible and ugly.” It is this type of corruption and out-of-touch thinking that voters decided they were sick and tired of when they swept the Tea Party into control of Congress and elected Donald Trump. Liberal Bill Nelson knows he’s in for the fight of his life to keep his Senate seat in 2018. His record of voting nearly in lockstep with other Senate liberals for President Obama’s most failed policies, including cap and trade, Obamacare, and the wasteful economic stimulus is hardly popular in Florida, which broke for Donald Trump and re-elected Tea Party Senator Marco Rubio in 2016. The more Bill Nelson vows to block President Trump’s agenda, the more vulnerable he becomes. Throughout her three terms in the Senate, Debbie Stabenow has proven herself to be a big government, tax-and-spend liberal. At seemingly every turn, she has voted for job-killing regulations and massive tax increases while opposing common sense reforms to curb the growth of government. These liberal policies have contributed to the poor state of Michigan’s economy, which is why voters in the Wolverine State went for Donald Trump in 2016. Michigan has proven it is ready for a change. In deep-red Montana, Jon Tester is deeply unpopular among his own constituents. A quick examination of his liberal voting record shows why. Tester voted to spend nearly $2 trillion in failed stimulus spending and then said the stimulus bill was a “solid compromise” and a “step in the right direction!” In addition, Tester supports President Obama’s EPA regulations that have destroyed coal industry jobs in his own state. Hard working Montanans deserve better than a left wing apologist like Jon Tester.